How can i sign up, register, log in on Twitter.com? Registration and Login at Twitter.com works quite simply and is for for every-man / woman accessible. 1.) Sign Up, Register on Twitter.com! 2.) Log in on Twitter.com! 3.) Log out on Twitter.com! # Sign Up, Register on Twitter.com! Then enter your personal data [also Image-1 Arrow-2 Sing-Up]. Then you will receive a confirmation e-mail, to activated (verified) the Twitter.com registration. 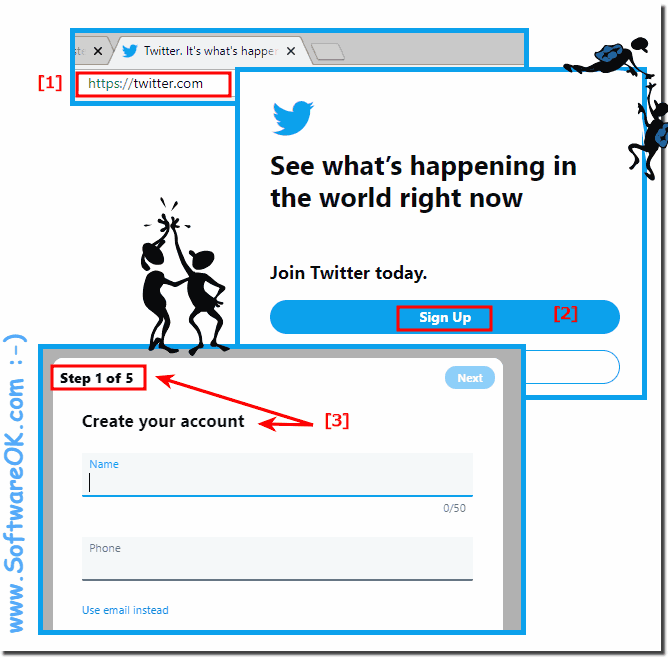 In Your e-mail account, you can open the activation e-mail from Twitter and by a direct click on the activation link they can enable Twitter account directly. Or by copy and paste of the activation link in the address bar of your browser and press [Enter]. # Log out on Twitter.com! Internet-WWW - FAQ-4: How can i sign up, register, log in on Twitter.com? How to delete or remove applications on Facebook.com and chainge the settings? How can i change the Relationship on FaceBook.com? How can i change the Contact Info on FaceBook.com? How to Change on facebook.com my Primary Language to/from English? How cani signup on twitter? 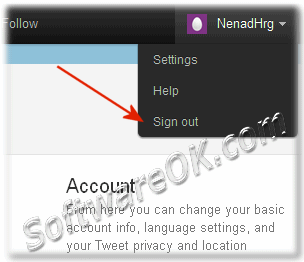 How to sign out on twitter?